It’s the treat that everyone loves and the perfect excuse for catching up with somebody special. Afternoon tea is served every day of the week, from 2.00pm to 5.30pm in our Garden Room, Drawing Room, Reception Hall, or one of our terraces. £43.00 per person or a Bellini – £42.50 per person. A 10% discretionary service charge is added to your bill. 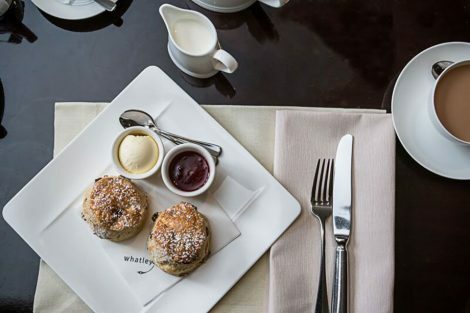 This service charge is shared amongst the team at Whatley Manor.